One way to prevent and or solve certain issues on the Swype feature of your Samsung Galaxy S5 is by proper management and configuration on the settings. Elaborated in this content are the recommended settings configuration of the Galaxy S5 Swype function. Read on to learn more about what or which options/settings to configure when using the feature. Steps may vary depending on the version of Swype you are using on your phone. 3. Go to My Device. 5. Touch on the icon (represented by a wheel-shape) next to Swype. Another way to activate or use the Swype keyboard on your Galaxy S5 is by touching and holding the Swype key (represented by a hand-over-the-S) on the keyboard. 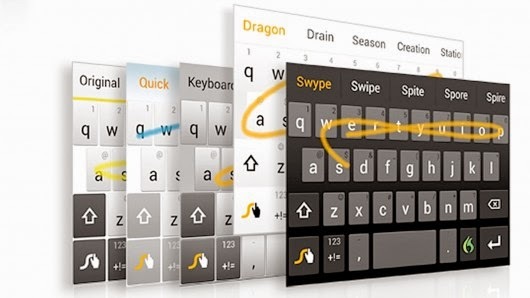 How to Swype - this is where you can view introduction guides on using Swype on your device. Gestures - this is where you can view shortcuts you can use to complete a task quickly. Vibrate on keypress - when enabled, the phone vibrates when a key is touched. Sound on keypress - when enabled, a sound plays when a key is touched. Show helpful tips - when enabled, helpful tips on using Swype are shown. Auto-spacing - when enabled, a space between words will automatically be inserted. Auto-capitalization - when enabled, the first letter of a new sentence will automatically be capitalized. Show complete trace - when enabled, a complete Swype path of each word will display. Pop-up on keypress - when enabled, a character will show above the key when typing. Next word prediction - this option will predict words based on the previously entered text. Reset Swype's dictionary - this option will remove all words from the personal dictionary. Version - this option show the current version of Swype on your device. Language Options - this option will let you change the language selection and download additional languages you want to use on your device. Register now - configure this settings if you want to register your email address to let Swype back up your Personal Dictionary and sync it across multiple devices. Your account will be displayed here once you register. To view your Swype devices, Backup Now or Delete account from this device, just touch the account name. Enter activation code - Enable this option to enter the activation code emailed to you. However, this option is shown only when you haven't yet completed the registration and activation process. Backup & Sync - when enabled, this option automatically backs up and sync your Personal Dictionary. Contribute usage data - this functions by collecting data from the device for better predictions. Cellular data - when enabled, Swype will initiate update over your cellular data network. Personalization - this option displays the list of custom words, contacts, and usernames added. You can also delete or remove selected words from this menu option. Edit Dictionary - this option is used for managing custom words, usernames, and contacts added to your Personal Dictionary. Facebook - this option is used for you to sign in to your Facebook account and add contact names to your Personal Dictionary. Twitter - this option is used for you to sign in to your Twitter account and add usernames and new words from your Twitter feed to your Personal Dictionary. Gmail - this option is used for you to sign in to your Gmail account and add names to your Personal Dictionary. Swype comes pre-installed on the Galaxy S5. To check any available Swype updates, just select Updates option.